Click the images to see an enlarged version of it. 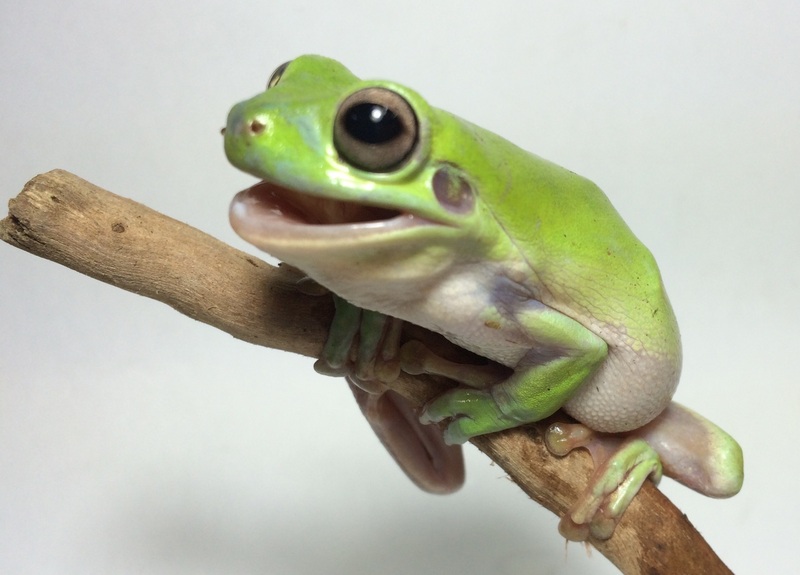 The green tree frog that is sold in Singapore is the Australian species (Litoria caerulea). 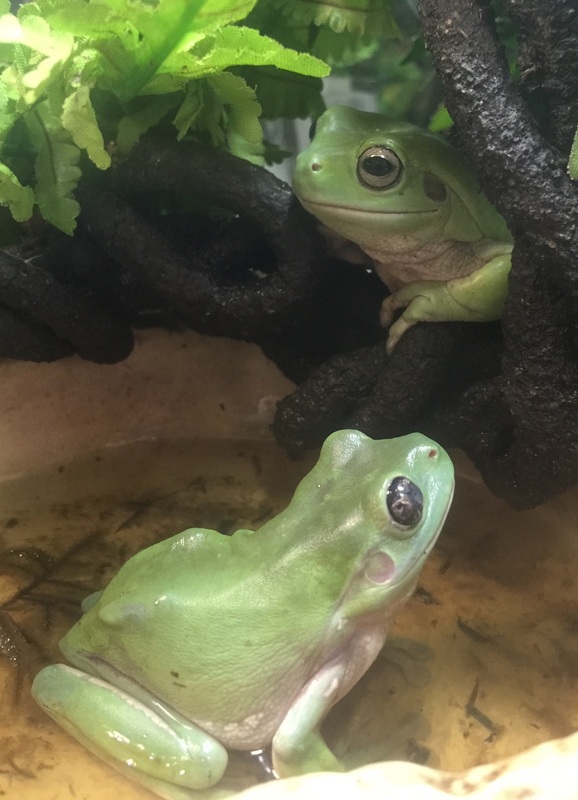 Also known as the Australian Green Tree Frog, White’s Tree Frog (named after John White who first described it in 1790) or Dumpy Tree Frog because it tends to get obese with a dumpy appearance. It can live an average of 16 years. It is not afraid of humans. It is as pretty as a cartoon character with big golden eyes. Easy to maintain. Not expensive. Can reach 10 cm (4 inches) in length. Very well adjusted to life in a confined space. Can make the usual frogs’ brawk, brawk, brawk noise. Can change colour from green to brown. Eats a simple diet of crickets, mealworms and other insects. Can be handled but only sparingly. Keeping it is easy. All you need is a glass or plastic tank. A 2 ft tank will be suitable. A terrarium would be the best as shown in the picture above. The frog is an amphibian and can climb and jump. So a well ventilated cover is necessary. It needs warmth and humidity. The frog’s skin needs to be kept moist. You can use artificial turf for the base and being a climber you need to have branches for it to climb. You can do a terrarium set up with a wet and a dry area. Our high humidity climate is ideal but placing a bowl of water will help prevent dehydration. Daily misting (spraying of water) is recommended. You can take it out and put it on your hands but it is not advisable for prolonged periods because it is likely to jump away and your attempt to capture it will result in injury. Beware of overfeeding. Most frogs in captivity do not have enough exercise and they end up obese unlike their counterparts in the wild who need to hop and jump to get their supper every night. The frog is nocturnal being more active at night. 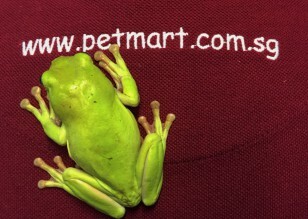 More information on the green tree frog is available at www.petmart.com.sg (Tel: 94500947/62896471) and elsewhere from the internet.